Nothing beats the flavour of holiday that comes with the name of Darjeeling. Situated in the eastern Himalayan range is one of the most classic and exotic vacation spots in India. Many consider Darjeeling as the ultimate requiem for relaxation and enjoyment. 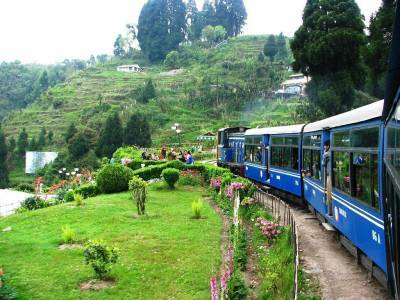 Darjeeling itself is very beautiful and in tow have many scenic sightseeing spots and special attractions. 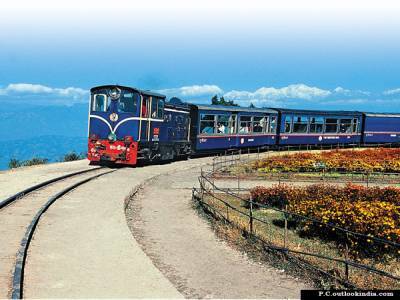 One of the USP of Darjeeling tourism is the Darjeeling Himalayan Railway, commonly known as the Toy Train. 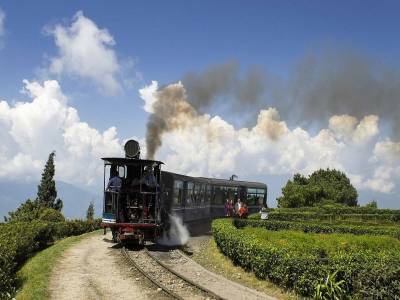 The zigzag elevating tracks through the slope of the mountain and sight bending circle loops around the cascades & forests of the Himalayas make this narrow gauge railway, from the olden days, one of the people's favourite holiday destinations from all over the world. The construction of the Darjeeling Himalayan Railway was initiated under the order of the British Monarchy during the British Colonial Rule in India. Prior to 1879, the only way to connect the city of Siliguri to Darjeeling was by through Tonga route on cart road. Between 1879 to 1881 under the supervision of the Governor of Bengal Sir Ashley Eden and the works of Franklin Prestage the steam railway of 88 KM length from New Jalpaiguri to Darjeeling was built. The railway was inaugurated by the then Viceroy Lord Lytton. The narrow gauge is built with zigzag and loop technology for better operating of the engine on the mountain slope. The railway has many stations that are almost as serene and majestic as paradise. Tung, Ghum, Mirik, Kurseong and many others are stations on this track. Ghum is India's highest railway station and Kurseong is the headquarters of Darjeeling Himalayan Railway. Batasia Loop is one of the greatest tourist location and recreational spot on this track looping almost 5 KM. 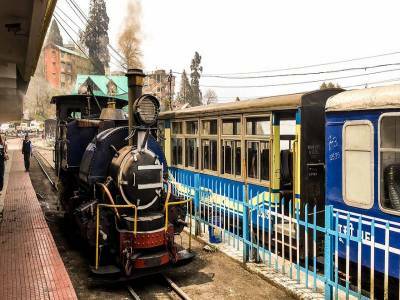 UNESCO has certified The Darjeeling Himalayan Railway as a World Heritage Site and along with other two mountain rail routes named and famous as the Mountain Railways of India. This is without a doubt the best tourist attraction for any traveller. 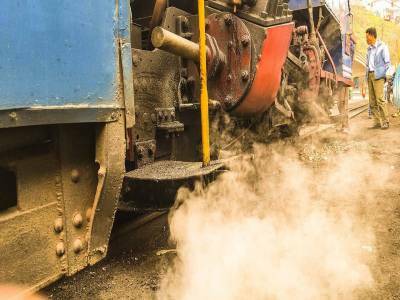 Get quick answers from travelers who visit to Darjeeling Himalayan Railway.